Empyrean, the oil and gas development company with interests in China, Indonesia and the United States, has announced that it has been informed by Sacgasco Limited, the operator of the Dempsey 1-15 well in the Sacramento Basin, onshore California, that a drilling contract has been signed with Paul Graham Drilling of Rio Vista, California. Empyrean has a 30% interest in the Well, which is targeting a 1Tcf+ prospect within an already producing gas unit. Drilling operations are on track to commence in the coming weeks. Dempsey is a large structure mapped with 3D seismic and interpreted by Sacgasco to have the potential to hold a prospective resource of over 1 Tcf of gas in up to seven stacked target reservoirs. The Dempsey 1-15 well will be drilled by the Paul Graham Rig 9 to a planned total depth of 10,500 feet. 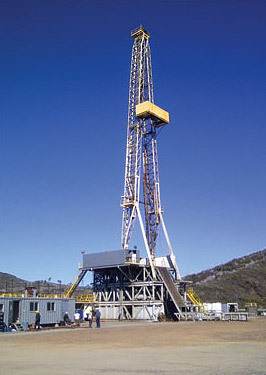 Rig 9 is a high-capability rig with a depth rating of up to 16,500 feet.